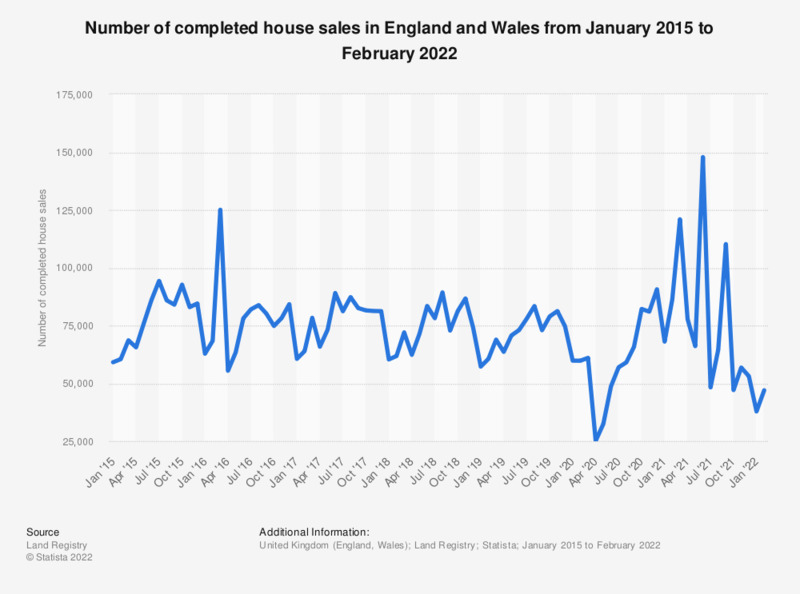 This statistic displays the monthly completed house sales volumes in England and Wales from January 2015 to November 2018. In November 2018, it was found that the number of completed house sales amounted to over 76.3 thousand. The highest sales of any month in this time period was 125,046 in March 2016.